I just did the craziest thing ever. I went back to Hairtistry and decided to get creative. So I got my hair stylist, Tonny, to add some fruit juices into his ‘paint bowl’ as I wanted a more natural hair colour. He mixed in some organic red dragon fruit juice into the hair dye. Want to see my organic dragon fruit-inspired hairdo? In my line of work, I can’t get too creative with my hair colours so I decided to tone down my hair colour slightly in fear that my bosses might hunt me down with a knife the next day. And I am just thankful that my hairstylist, Tonny, wasn’t mad at me. In fact, the current hair colour I had turned out to be even better than the previous one I had. He didn’t exactly dye my hair to black or darker shades of brown but he cleverly added hues of pink to tone down my hair colour. 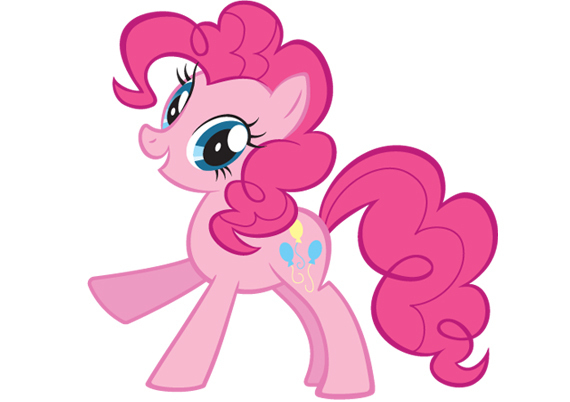 For a moment, I really thought I was going to have bright pink-coloured hair like this Friendship pony called Pinkie Pie. The only day which I ever want to have pink hair is the day I turned 80 and no one cares the way I look anymore. Before I turned Pinkie Pie, Tonny washed my hair so that the colour only stays on slightly my hair to give it this rosy hue to my current hair colour. Want to see how it turns out? I couldn’t have imagined that my hair would have turned out so lovely. It’s more of a rose gold colour that really brings out my fair skin tone. It’s so much feminine and soft. He styled up my hair by blowing in some curls and I looked really ‘Korean’ then. It’s amazing how much a hairstyle can change the outlook and persona of a person. Colouring your hair is like adding makeup on your face except that it’s more long-lasting and you don’t have to ‘remove the hair colour’ before going to bed. Here’s a closer shot of my new hairdo! It’s definitely a shade toner than before and I really like how the tinge of pink enhances the three-dimensional effect of the curls. I think this colour would turn out really beautifully on those with long hair. I’m actually planning to keep my hair long again as I would really like to experiment with the current Balayage hair colour trend. With longer hair, I can get beautiful curls too. Proper hair care is crucial at this stage so I actually bought a bottle of Goldwell’s Kerasilk colour shampoo from the salon to protect my hair colour as well as to nourish my hair. Thankfully, my hair is still soft and smooth from the previous Keratin treatment and it did not turn frizzy at all after colouring. I highly recommend using this shampoo and smells really pleasant too. What do you think of my hair colour? Yay or nay? Call 67899366 or SMS/Whatsapp to 81450111 to book your appointment. Check out their Instagram and Facebook Page.